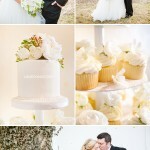 So happy to recently see Kat and Aymen’s wedding featured on Style Me Pretty, one of my favourite blogs. Every wedding they feature on that blog has the most stunning and jaw-dropping wedding details and photography, so it was a true honour to be featured. Here’s a link to the post….